Darjeeling: The state government has decided to compensate the next of kin of the persons who had died during the recent Gorkhaland agitation. Along with this, arrears will also be paid to the government employees and teachers. "We want peace. We want progress. We want the Hills to prosper and develop. People in the plains and the Hills will work together for development," she said at Pintail village. The Chief Minister congratulated people of the Hills for the restoration of normalcy. "Peace has returned to the Hills. We are overwhelmed by the positive response from the people," she said. The turmoil in the Darjeeling Hills began in June after Banerjee announced her decision to make Bengali compulsory in state-run schools. The Chief Minister further stated: "We have unanimously decided that the next of kin of the persons who had died in the agitation and were not charged in any criminal case will be given Rs 1 lakh. One of the family members will also be given a Group D job by the GTA with permission from the state and those who suffered serious injuries will be given Rs 50,000." The bipartite talks were attended by representatives from political outfits of the Hills including the GJM, GNLF and All India Gorkha League. Regarding arrears, the CM stated that the teachers will get it provided they complete the syllabus. "They have to work on holidays and complete the syllabus so that the students do not suffer," she stated. As for other government employees, they will be receiving salary for two months on medical grounds. "I have been invited to the Tourism festival and inauguration of two car parks in Darjeeling in the last week of December and January which I have accepted. We plan to have an industry meet during that time so that we can generate employment," added Banerjee. The Chief Minister also added that she has instructed the GTA to revive the Football Gold Cup tournament. 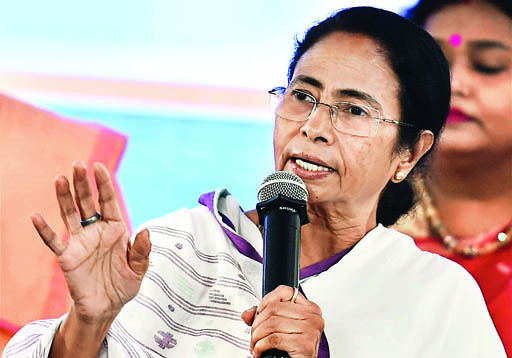 Stressing on development activities, she said that Pintail Village near Siliguri (the venue of the bipartite talks) will be developed and upgraded by the police department. "In Mirik, the Tourist Centre will be upgraded. We will build a 100-bedded hospital and a bus stand," said the CM. In Kurseong, facilities will be made available to accommodate tourists. "There is a demand for two colleges, one being at Tukdah and the other at Tindharia. We will approach private facilities for this," Banerjee assured. She further stated that the GTA will prepare a plan of action which will be implemented jointly by the state and the GTA. "The meeting was very fruitful. We want Darjeeling to develop along with the revival of brand Darjeeling. There should be employment generation and tourism promotion. Peace has returned and we want to hold an International Tourism Festival in December. We have invited the CM for this," stated Binay Tamang, Chairman, Board of Administrators, GTA. Regarding tripartite talks between the Centre, state and the Hills' political outfits, Tamang stated: "The ball is in the state's court. They will have to decide." The next round of bipartite talks will be held in Darjeeling. However, the date has not been fixed yet. The state government has decided to compensate the next of kin of the persons who had died during the recent Gorkhaland agitation. Along with this, arrears will also be paid to the government employees and teachers. "We want peace. We want progress. We want the Hills to prosper and develop.